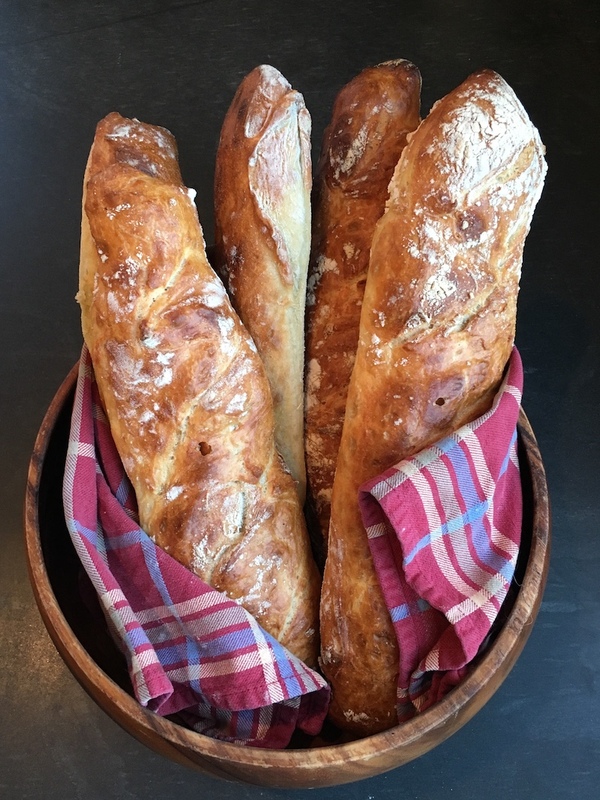 I’ve long been more of a cook than a baker, simply because I don’t like to follow recipes, but recently I became determined to make good bread — in particular a good baguette. After trying a number of different approaches, I finally discovered the flavor I was shooting for with the pain a l’ancienne from The Bread Baker’s Apprentice. I have to admit it’s a bit startling how delicious this came out — better than 99% of the professional bakeries around where I live. 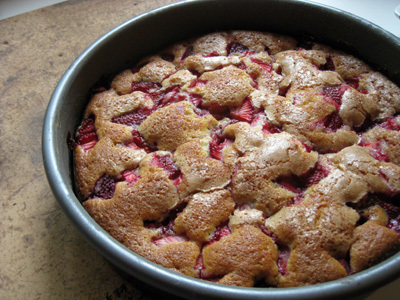 A year ago, Gourmet Magazine lit up quite a few food blogs with their Raspberry Buttermilk Cake recipe. Munchkin and I made it and everyone loved it. This year I found myself at a crossroads of two nice happenstances. 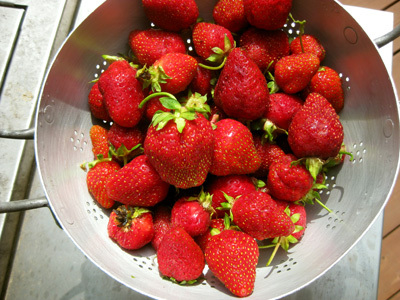 The first was a surplus of delicious strawberries from a farm in the Catskills. The second was leftover buttermilk after making Alice Waters’ delectable chocolate cake (from the Art of Simple Food). It is a shame Gourmet was shut down, especially since I vastly preferred it to Bon Appetit, but such are the woes of the publishing industry right now. Aside: this was my first time using the iPad in the kitchen to follow a recipe, and it is great for that purpose. Epicurious’ iPad app is nicely done, and it’s a marvelous device for browsing food blogs. What do excess zucchini and a bored, unwell 4 year old have in common? Elise’s Chocolate Zucchini Cake over at Simply Recipes! This made for a fun Sunday afternoon project, and we’ve been happily nibbling the delicious results all week. 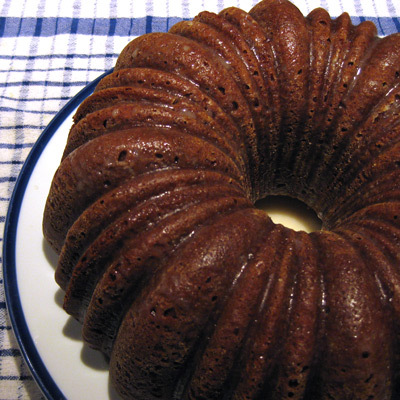 It has a wonderful chocolate flavor, and stays moist and not too dense. Lisl was worried that the zucchini might give it a vegetable-y flavor, but one taste and she was sold. 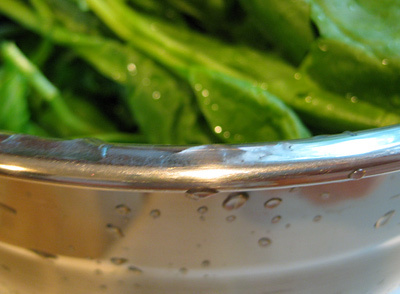 At first I was scouring Elise’s post and comments in puzzlement that the grated zucchini was not squeezed to remove the water, but indeed it is not necessary — the recipe already accounts for the moisture. Note that in the below ingredients, posted for my own future reference, I halved the amount of orange zest used. 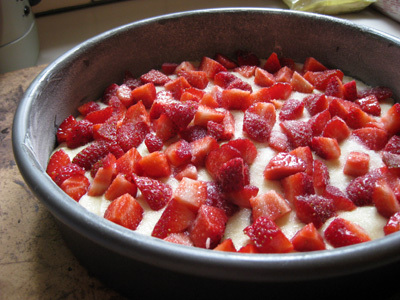 I heartily recommend that you pop over to Simply Recipes to read the post and directions. When it comes to baking, one of my favorite test kitchens belongs to a New Jersey blog called Stacey Snacks. I’m not a huge baker, even though I might aspire to Zoe heights, however I’ve mentioned before that baking has become a fun activity where I can involve our 4 yr old munchkin. When Lisl caught sight of a peach and blueberry pie recipe with two thumbs up on Stacey’s site, I knew we had to try it. 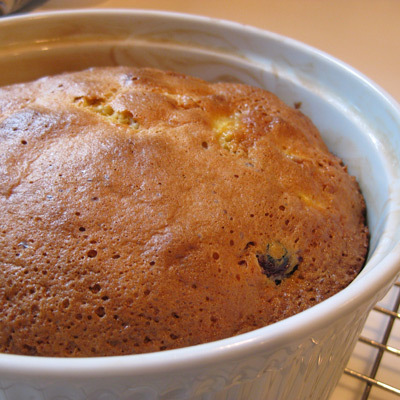 The recipe comes from Mango & Tomato, and I followed it pretty much exactly save for replacing one of the peaches with 3 apricots (and I skipped powdered sugar at the end). It is very straightforward — check out her site to see the instructions. Moist and absolutely delicious! Many years ago, when my sister and I both ended up living in Northern California, our mother decided that her progeny were not properly taken care of for Thanksgiving way out there on the Left Coast. She sweet-talked her friend Nancy, who had a house in Napa Valley, to invite us up for Thanksgiving dinner. We did not need to be asked twice. 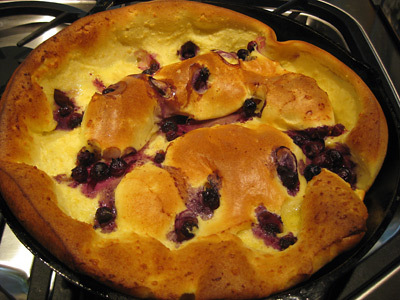 The meal and scenery were incredible, but what has lasted with me all these years is Nancy’s “easy oven pancake”, which many would call a Dutch Baby. It is much easier than making individual pancakes, and is perfect comfort food in the morning, especially with some thick-cut bacon on the side! 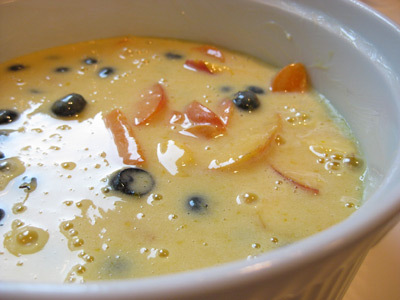 Lately, I’ve taken to adding fresh fruit to the dish (the top picture has blueberries thrown in) and have been quite happy with the results. Warning: it takes no time to make, but it gets devoured even faster!